Brun Lea Guest House017687 74247work Guest HouseOur cosy rooms ( En-suite & Standard available) have recently been refurbished to a high standard and have TV's, Tea & coffee-making facilities, central heating, constant hot water, en-suite showers, hairdryers & clock-radio alarms. Everything to make it a real “home from home"
We are situated, in a quiet location, at the bottom end of the Town. It's a very short, level walk to the Town Centre, with all the shops. The views from the house look up to the Skiddaw range. At 3000ft it’s the 4th highest mountain in England. 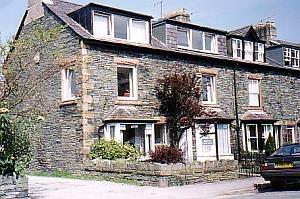 Brun Lea Guest House sometimes limits bookings to 3 or more days. Located on the first floor.. A comfortably furnished double room with own WC and shower. At the rear of the house so very quiet. En suite double sometimes limits bookings to 3 or more days. Located on the first floor. A good sized double room at the front of the house overlooking the street. Own WC and shower. Located on the second floor. A warm cosy room with 2 single beds, own WC and shower. Lovely views towards Latrigg and Walla Crag. At the front of the house overlooking street. En suite twin sometimes limits bookings to 3 or more days. Located on the first floor. A Large bright family room with a double and 2 single beds. at the front of the house looking out onto the main street. we also can let it to groups of three. Close to bathrooms and WCs. Standard family sometimes limits bookings to 3 or more days. Our cosy rooms ( En-suite & Standard available) have recently been refurbished to a high standard and have TV's, Tea & coffee-making facilities, central heating, constant hot water, en-suite showers, hairdryers & clock-radio alarms. Everything to make it a real “home from home"
Keswick is in the Heart of the Lake District. The area is surrounded by beautiful countryside, breathtaking scenery, mountains & Lakes. Everything for the Outdoor enthusiast and Tourist to savour and enjoy! 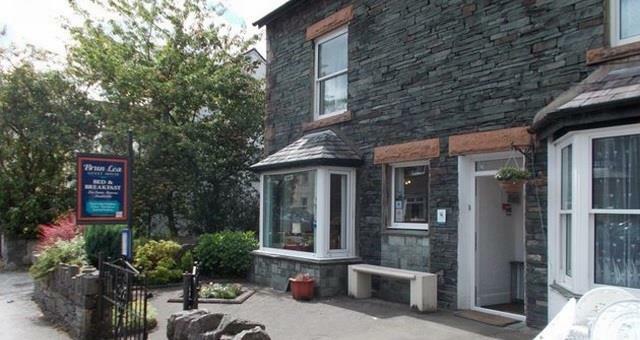 We are only a few minutes away from Fitz Park and Hope Park and only 10 minutes' walk to lake shore and boat landings and 1 minute from Keswick town centre. Children welcome from age 1. From M6 jct 40 take A66 to Keswick. Take first left off roundabout into Keswick. At T-junction turn left, going over bridge, past Co-op, straight on at mini roundabout. We are next street on left. Three minutes from bus station, heading for town centre.